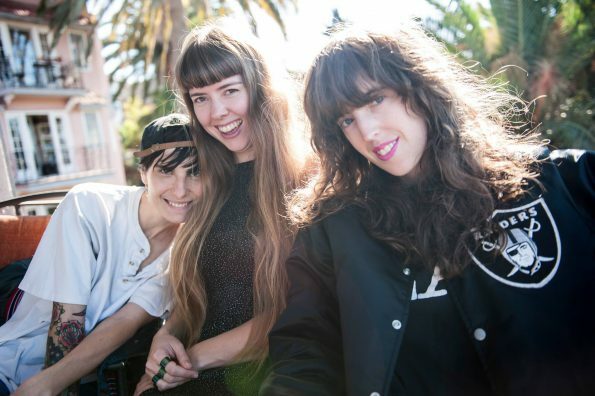 Hailing from Vancouver, British Columbia, The Courtneys have found a home on New Zealand institution Flying Nun Records for their sophomore release, The Courtneys II. “Silver Velvet” is a perfect entry point to their jangly goodness. On a side note, the video is a wonderful tip of the hat to Flying Nun stalwarts Bailter Space, lifting, with love, the concept of the video for their song “Splat.” Following along from their self-titled debut, II keeps the energy level high, even when the topic is “Iron Deficiency,” and resurrects their 2 year-old single “Mars Attacks,” giving it a bright and shiny finish. As evidenced by “Minnesota,” they’re also capable of dialing it back without sacrificing their edge. Putting a final exclamation point on their US tour with a 5/18 show at the Wonder Ballroom in Portland, they’ll head to the UK and Europe for late May and June.